Britain’s Chaz Davies is getting in some vital track time on the Ducati Panigale V4R during two-day test at Motorland Aragon. Davies missed some of the winter test programme through injury and is not as comfortable with the new bike as he would like to be at this time of the season. So both he and team-mate Alvaro Bautista, who has won every race so far in 2019, began testing at the Spanish circuit today. 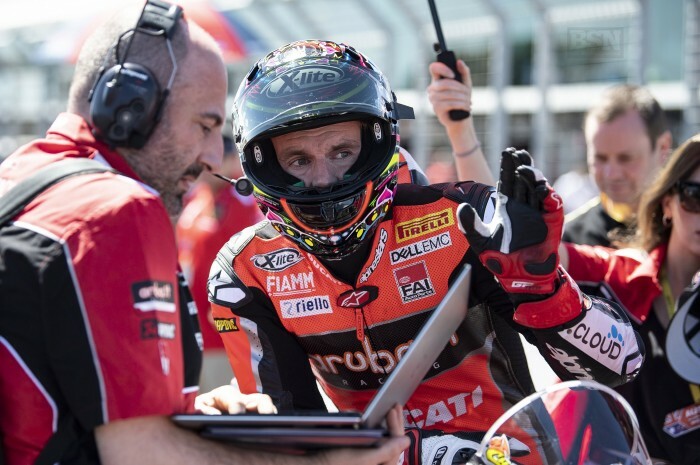 Davies’ record at Aragon has him down in record books as the most successful rider at the track, with seven wins, including two doubles across two manufacturers.